Jaguar is a generally underestimated car and is mis-perceived by many around the world as being a more luxurious type of car, fit for the average day to day businessmen. The RCMP (Royal Canadian Mounted Police) found a great deal of potential in the Jaguar S as it’s another species of Jaguar on its own come to think about it, due to boasting that 3.0 Liter fuel injected V6 under the hood which spells an exceptional amount of power which cab push around 238 Horse Power and will sure come in handy when dealing with those petty usual day to day pull overs. Luckily for Canada though, car chases of extreme kinds happen very seldom. 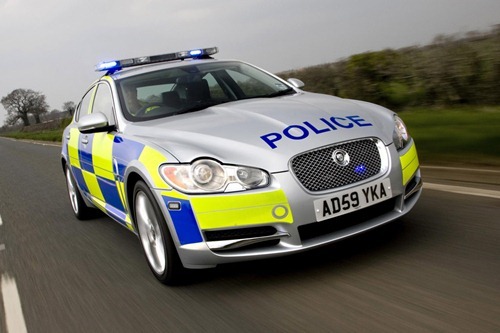 This is among the best police cars and is somewhat ideal in this case as nobody would want to smash a beautifully crafted Lamborghini police car and loose its stallion shape to a regular day to day bumper car accident so a Jaguar would be fit take the repairable damage in most cases. Jaguar sure does live up to its name as the wild cat badge mounted on the bonnet wood suggest as this is definitely a car that’s built for the chase.